Microsoft Dynamics 365 is the next generation of intelligent business applications that enable organizations to grow, evolve and transform. These applications unify CRM and ERP capabilities by delivering new productivity driven applications that work seamlessly together to help manage specific business functions. Engage customers, empower employees, optimize operations, and reinvent products and business models all on a highly adaptable cloud platform. 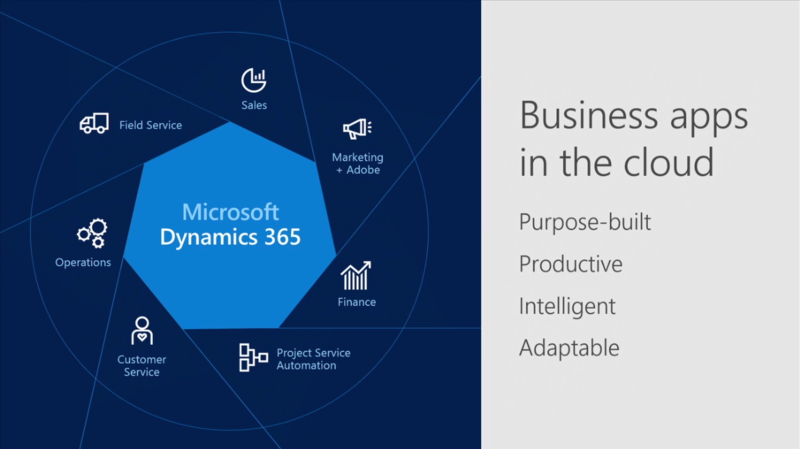 Dynamics 365’s cloud based business applications allow you to tailor solutions to your unique business needs. With a look and feel similar to Office 365, your organization can take advantage of purpose-built applications specifically created for roles, business functions and industries like: Sales, Customer Service, Finance, Field Service, Operations, Marketing and Project Services Automation. With two editions and multiple plans, user types, and extensible applications options you can drive business growth with a solution that is exactly what your organization requires and has the added benefit of one predictable monthly subscription cost. Your business is unique, you need a Dynamics 365 partner who truly understands the challenges you face.